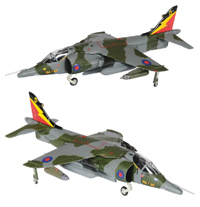 YellowAirplane.com: AV-8B Harrier II Model Airplanes & model airplane kits 1/72, 1/32, 1/48. AV-8 Harrier Jet Fighter Aircraft VTOL Model Airplanes. Of the Fighter Jet Department. AV-8B Harrier Jet Aircraft VTOL Model Airplanes, Plastic, Die Cast and Mahogany plus Aviation art. These airplane models of the AV-8B Harrier Jet is great for teaching about Vertical Takeoff and Landing (VTOL) aircraft used by the united states marines. Model airplanes are also great for teaching about aviation history, blueprint reading, assembly techniques, and just having fun. I put all of the plans that come from the models in a 3 Ring, view binder. They make a great collection. These US Marine airplanes were the very first VTOL vertical takeoff and landing aircraft ever used by the military. The McDonnell Douglas / BAe AV-8B Harrier II was used in the military by the United States Marines. The McDonnell Douglas BAe AV-8 Harrier Jet is a vertical takeoff and landing VTOL airplane used by the military in several countries. It was originally designed and built by the British and has proven to be a very good, highly maneuverable, fighter jet with incredible acceleration. The AV-8 Harrier is 46' 4" long, 11' 7" high and has wingspan of 30' 4". The harrier has an empty weight of 13,085 lbs and a maximum weight of 31,000 lbs. It is powered by a single Rolls Royce F402 Pegasus jet engine producing 23,800 lbs of thrust. The AV-8 Harrier has a maximum range of 2,380 miles and a max speed of 647 mph. 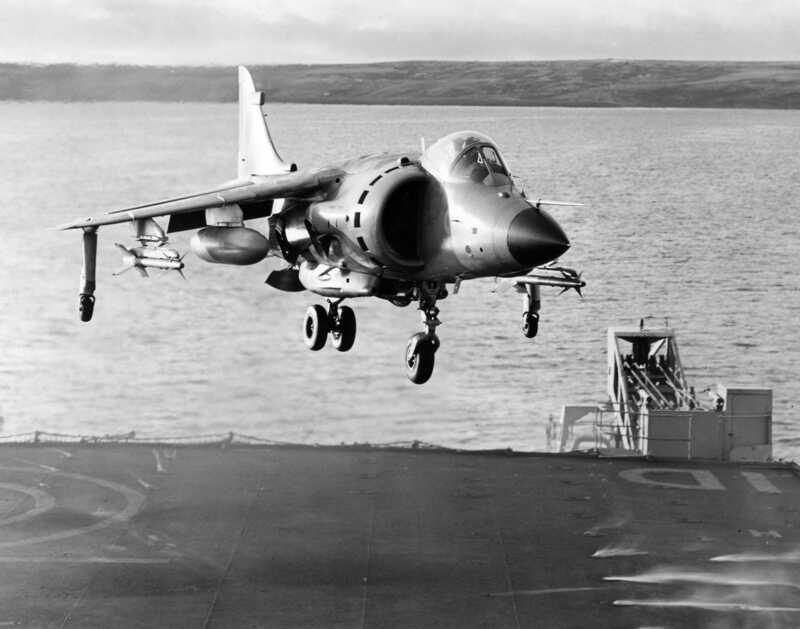 The Harrier II also carries water for use as engine cooling when the plane is in an extended hover. This US Marine Aircraft puts a punch into the capabilities of the US Marines. There are many versions of this plane, these specs cover only one version. These model airplanes come as plastic model airplanes, wood model airplanes, diecast model airplanes and mahogany model airplanes. I've done a study on the search terms for the Harrier Jet and they go from highest to lowest, harrier jet, sea harrier, av-8b harrier, harrier jump jet, av-8 harrier, harrier model, harrier aircraft, av8 harrier, harrier picture, av-8b harrier II, harrier plane, hawker harrier, hawker siddeley harrier, av8b harrier, harrier 2, av-8 harrier II, marine harrier jets, harrier marine, and harrier airplane. an AV-8B Harrier II "Jump Jet" flown by the U.S. Marines, this 1/140 scale, metal and plastic Model Power model features wing-mounted missiles and authentic VMA-231 markings, including the squadron's "Ace of Spades" insignia beneath the canopy. 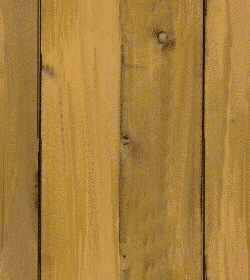 Measures approximately 4" long with a 2" wingspan and arrives ready to display on the included stand. an AV-8B Harrier II Plus - a second-generation Harrier that, equipped with APG-65 radar in an extended nose, typically operates from small aircraft carriers and large amphibious assault ships - flown by the Spanish Navy Air Arm's 9 Escuadrilla, this 1/72 scale, die cast Hobby Master model features engraved panel lines, a detailed cockpit with a pilot figure, removable ordnance and fuel tanks, optional position landing gear, authentic markings, and more. 7" long; includes a display stand. 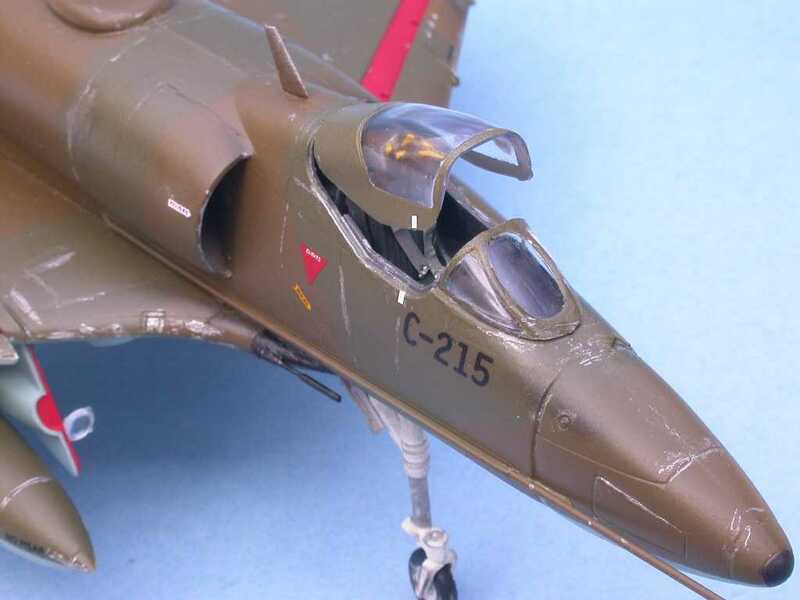 While the Harrier may have retired from British Military Service in December, 2010, the iconic V/STOL "jump jet" can still live on in your 1/72 scale, die cast aircraft collection! A replica of a British Aerospace Sea Harrier FA2 variant (outfitted with Blue Vixen Pulse-Doppler radar and AIM-120 AMRAAM missiles) flown by Fleet Air Arm's 800 Naval Air Squadron when it was stationed at RNAS Yeovilton in 2004, this newly tooled, 1/72 scale, die cast Hobby Master model features engraved panel lines; a well-equipped cockpit with a removable canopy and a pilot figure; a detailed turbofan inside the engine intakes and rotating exhaust nozzles; removable ordnance and fuel tanks; optional-position landing gear, including the Harrier's unique wingtip wheels; a special unit decommissioning paint scheme with authentic markings; and more. 7" long; arrives ready to display on the included stand. Made of Philippine mahogany, this 1/32 scale model of an F-35 Lightning II - which is scheduled to begin replacing USAF A-10 Thunderbolt IIs and F-16s in 2011 and Marine Corps AV-8B Harriers and F/A-18s in 2012 - is hand painted and detailed, measures 17" long with a 13" wingspan, and includes a display stand. an AV-8B Harrier II Plus - a second-generation Harrier that, equipped with APG-65 radar in an extended nose, typically operates from small aircraft carriers and large amphibious assault ships - flown by the U.S. Marines' VMA-542 "Tigers," this 1/72 scale, die cast Hobby Master model features engraved panel lines, a detailed cockpit with a glazed canopy and a pilot figure, removable ordnance and fuel tanks, optional-position landing gear, and authentic markings, including the squadron insignia below the canopy and a yellow triangle tail flash. 7" long; includes a display stand. an AV-8B Harrier II Plus - a second-generation Harrier that, equipped with APG-65 radar in an extended nose, typically operates from small aircraft carriers and large amphibious assault ships - flown by the U.S. Marines' VMA-223 "Bulldogs,", this 1/72 scale, die cast Hobby Master model features engraved panel lines, a detailed cockpit with a pilot figure, removable ordnance (including AGM-65 Maverick and AIM-9 Sidewinder missiles) and fuel tanks, optional-position landing gear, and authentic 2009 markings, including the squadron's "Boxing Bulldog" emblem beneath the canopy. 7" long; includes a display stand. an AV-8B Harrier II Plus - a second-generation Harrier that, equipped with APG-65 radar in an extended nose, typically operates from small aircraft carriers and large amphibious assault ships - flown by the Italian Navy's Gruppo Aerei Imbarcati (Carrier Air Group), which, based at Taranto, embarks on the light carrier Giuseppe Garibaldi, this 1/72 scale, die cast Hobby Master model features engraved panel lines, a detailed cockpit with a pilot figure, removable ordnance and fuel tanks, optional-position landing gear, and authentic markings, including the group's wolf's head emblem on the fuselage and paw prints on the rudder. 7" long; includes a display stand. Pre Built Molded Resin Model Airplanes. Made of durable molded resin, this 1/48 scale model measures 11 ¼" in length and has a wingspan of 7 ¼". Hand painted and detailed, model comes ready to display on the included mahogany base. Neil Wilkinson, the 1982 Falkland Islands War Exhibit. Webmasters story: While I was stationed at Naval Air Station Lemoore in California, I once stood by the hanger and watched an F-4 Phantom and a Harrier II sitting on the end of the runway waiting for takeoff permission. The F-4 Phantom kicked in it's J-79 jet engines into afterburner. The noise was very loud as the jet accelerated down the runway. It accelerated and accelerated and accelerated some more. It felt that it took forever for the jet to take off. I continued to watch as the F-4 Phantom II climbed while still in full afterburner and emitting tons of black smoke. Suddenly the AV-8B Harrier II kicked in its engines. It didn't have afterburner and didn't emit very much smoke. It seemed like the Harrier II was almost instantly on the tail of the Phantom II. I was thinking about the performance difference between the two aircraft in a dogfight. While the Phantom II had a much greater top speed and the Harrier II was only a subsonic aircraft. While in this subsonic realm, the Harrier would have stomped all over that Phantom and the Phantom wouldn't have even the slightest chance, unless it was already near supersonic and quite a distance from the Harrier to begin with. I quickly realized that looking at the top speed of an aircraft is only the small part of the story of a combat airplane. It is really acceleration, climb rate and turning speed that makes the difference.